I want to link to a Bloc on another page, but I can’t see an option to do that? 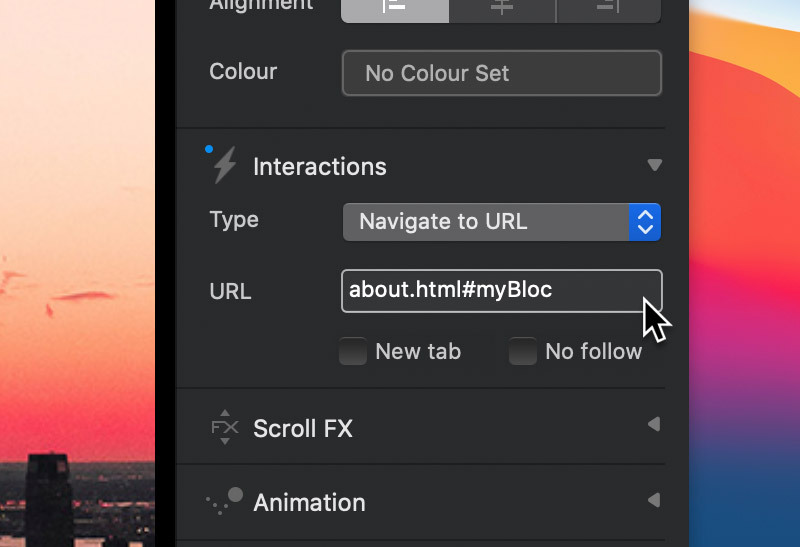 Although Blocs doesn’t come with a specific anchor interaction, it is possible to use the URL interaction to create a clickable link that will redirect the browser to a Bloc on another page. 1. First, make sure the target link has an ID set. This can be applied by selecting the target Bloc and inputting a unique ID into the sidebar inspector field labelled ID (Make a note of this ID as we will use it in step 5). 2. Next, add a link to your page or highlight some text and convert it into a link. 3. 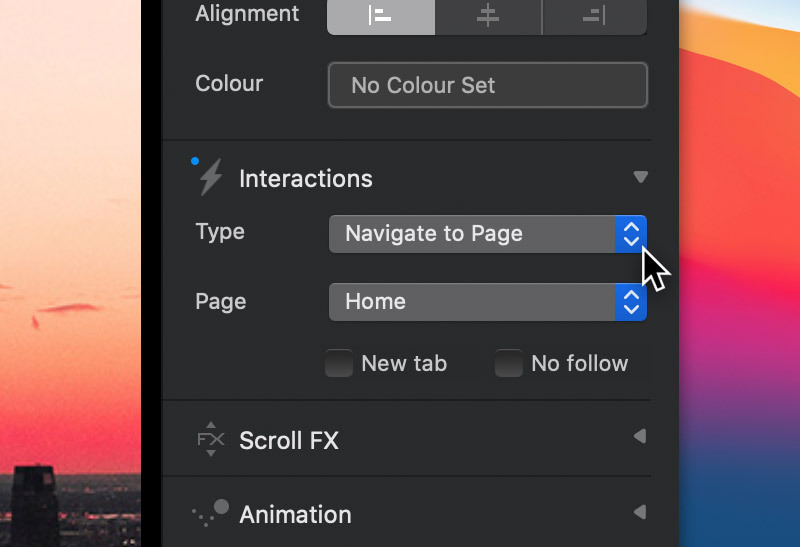 From the sidebar inspector options, navigate to the section labelled Interactions. 4. 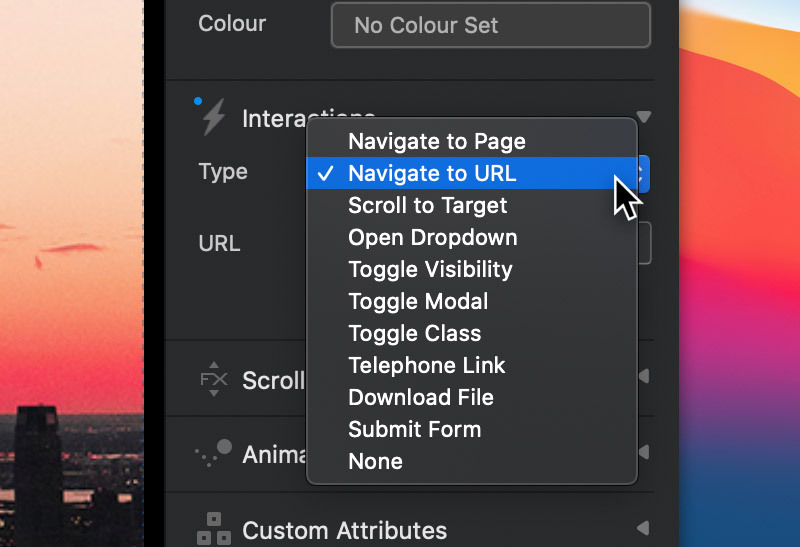 From the interaction options set the type of interaction to a URL interaction. This will reveal a text input field for your URL. 5. Now in the URL input field, enter the page file name that contains the target Bloc about.html followed by a hash symbol (#) then the unique Bloc ID you applied to the target Bloc. For Example about.html#myBloc. Now when this link is clicked, it will redirect the user to the target Bloc that resides on another page. If you want to create a link that scrolls to a Bloc on the same page as the link, use the scroll to interaction.